I think I’m turning into a green food person, this I what I had for dinner and it was truly magical so I thought I would share my Easy being Green delicious dinner recipe. Throw your washed spinach, cucumber and beetroot together and marvel at your salad. Chop up your coriander while your peas are cooking. When the peas are done 7ish minutes drain the water and mash them with the apple cider vinegar, add salt and pepper and coriander. I also put coriander and apple cider vinegar over my salad too. 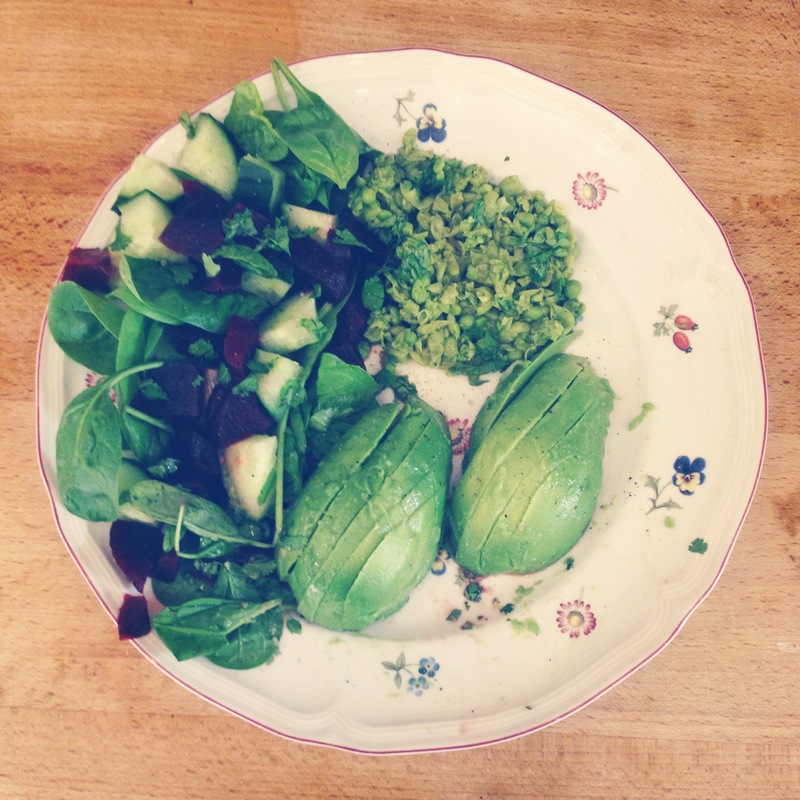 Chop up your avocado put it next to your green machine and ENJOY! *Apple cider vinegar is wonderful for digestive health and tastes really good, its important you get the raw variety, I use braggs but its great as a salad dressing you can mix it with extra virgin olive oil and garlic and you have the best dressing. Or you can put it in hot water and honey for a natural instant sore throat remedy!